This is a guest submission from Atif Mallo. As the demand for higher-quality FR products has amplified over the years, there has been a meticulous focus towards fulfilling safety regulations by the manufacturers of FR products and a sense of heightened awareness for the importance of FR clothing. The previous year has seen many new developments roll out in the FR textile industry as the suppliers strive to offer better quality products and improved flame resistance. Let us have a look at what new developments came about in the year 2017. As any work environment has many factors contributing to the specific requirements of a worker’s protective clothing arising the need for a workwear that provides multi-hazard protection, multiple functionalities of an FR fabric are something that hugely adds to the practicality of the FR apparel. For instance, in extremely cold climates, the protective clothing should be able to provide thermal protection as well as added padding to keep out the cold. By contrast, moisture-heavy environments require lightweight, breathable garments without any reduction in the fire-resistance of the fabric. So there are many forms of multi-purpose protective clothing that have been experimented with in 2017. For instance, garments that provide a combination of FR protection and high visibility, or of flame resistance as well as chemical splash protection. This trend has also given rise to designing FR workwear fabrics that provide simultaneous protection against flash fire, arc flash, and molten metal splatter. Similarly, another new fabric finish that has come under experimentation is one that provides a water-repellent finish for workers in water-intensive jobs. This finish could also potentially provide a third layer of protection from flash fire and/or arc flash. There is other multi-functional FR wear that has come forth in the previous year. Admittedly, this is for the US Navy, but this is going to be a trend-setter everywhere around the world. Obviously, most of the work – the research, design, testing etc. –was done in the preceding years but the approval for the new coveralls came in January last year in an All Fleet Forces Command message. So what’s new about this uniform? This new underway uniform, designed to be worn by all sailors once the ship has left the pier and is on cruise, is called the IFRV, Improved Fire Retardant Variant. The look of the uniform is pretty similar to US Navy’s poly/cotton-issue coverall, the FRV. But that’s about the only similarity. The IFRV has been designed with the requirement for the flame-resistant fabric to “must self-extinguish within 2 seconds after exposure to a standard flame ignition source for 12 seconds”. It also has the added benefit of providing arc-flash protection, a significant element on a ship with exposed wiring and plumbing. It is much lighter in weight and much more breathable which is absolutely essential for moisture management and comfort at sea. Probably the most substantial upgrade to the uniform is its lint-free property, which makes it suitable for the submarine environment since it does not build up a charge causing ESD putting the electronic equipment at risk. So the IFRV is a multi-purpose uniform for the entire fleet as it is functional for both submarine and surface crews. This is another development that came to its final shape in 2017. The Elastomeric Fiber is made up of polymers with the natural quality of elasticity. Due to elastic nature of the fiber, the FR fabric has the tendency to flex up, stretching sideways as well as diagonally, which adds to the fabric’s hazard-specific protection for high-risk environments. The elastomeric fiber allows the fabric to flex up to 14% with a 97% recovery which means the fabric fully recovers to its initial form from high elongations. The fiber also offers improved mobility for the wearer offering increased freedom of motion without interfering with the fire-resistant quality of the fabric. New design elements have also been introduced to fit the needs of woman workers as well as making the workwear aesthetically pleasing for the wearer. Since the number of woman workers has been on the rise in both industrial and fire service occupations during the last few years, there was a natural requirement for FR clothing designed specifically for women in order to offer better fitting and comfort as well as maximize the functionality and protection for them. As the regular clothing is being evolved all the time in terms of design, aesthetics, and practicality, it is only befitting for the work clothing to evolve in the same way. Also, it adds to a worker’s positive energy and attitude if they like what they are wearing. To this end, FR clothing providers have been working on the design side of their products coming up with chic, modern styles and aesthetically pleasing fit. Flame retardants are the chief components in rendering clothing fire-resistant and minimizing the devastating impact that a potential fire hazard can cause for people, properties, and the environment. 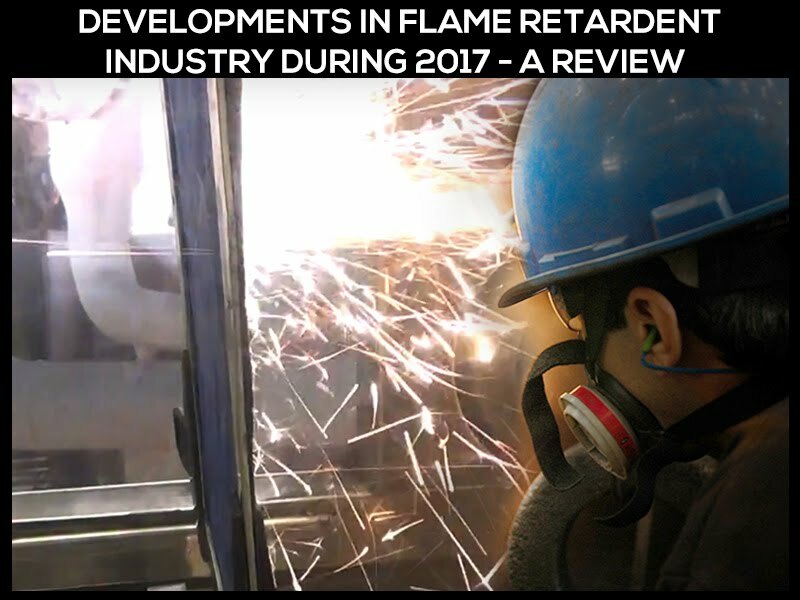 For this reason, there is always an on-going research and development to engineer better and more efficient flame retardant compounds. Most of the flame retardants that are currently used for fire safety in textile industry, give off toxic gases once exposed to ignition that results in a hazardous effect on the environment. That is the reason that chemists have been looking at ways to engineer more environment-friendly flame retardant methods. Recently, a new innovation has been patented to produce flame retardants for foams used in mattresses and upholstery. But the innovation itself opens up a lot of possibilities for further experimentation of proactive and innovative flame retardant textile products. This new flame-retardant is called EDA-DOPO, developed by EMPA, the Swiss Federal Laboratories for Material Science and Technology. This novel, environment-friendly flame retardant is a first step towards replacing the conventional halogenated chemicals that are toxic and release poisonous gases in the event of a fire. Whereas EDA-DOPO does not emit these toxins making it eco-friendly while still living up to the highest flame retardant classification which is a feat in itself. Additionally, the flame retardant is also highly compatible with the production of Polyurethane (PU) foams. EDA-DOPO is all set for launch pretty soon by two of EMPA’s industrial partners. Another development is the increased use of Organ phosphorus compounds - containing P-C bonds – in the production of flame retardants due to their excellent thermal and hydrolytic stability and ease of synthesis. Since the hydrolysis of P-C bonds helps in their biodegradation, it makes for reducing their possible harmful impact on the environment. Although organ phosphorus compounds are also toxic (used as pesticides, herbicides, insecticides, nerve gasses), it is imperative to be careful in developing new compound structures. This can be achieved by carrying out the toxicity screening of the new compounds early on in their development stage to avoid accidents and potential issues. While the right compound compositions will happen in due time, the P-C bond creation and its use in synthetic chemistry have a lot to offer for design and development of new and exciting organ phosphorus flame retardants for the textile industry. 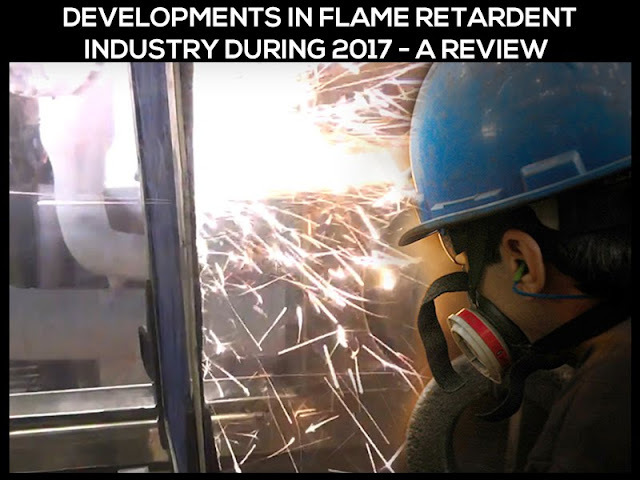 Various developments in flame retardant industry.